UPDATE: This article has been edited from the original version, which was posted today (Nov. 15) at 12:22 p.m. See corrections at the bottom of the article. 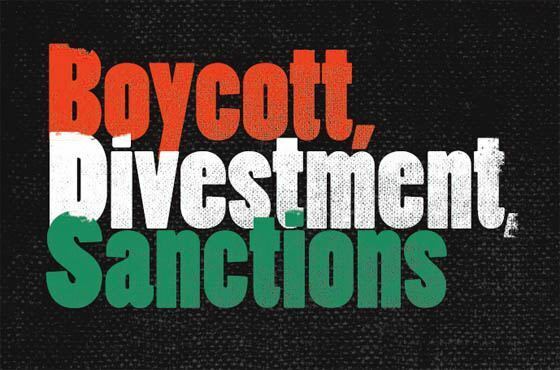 BDS is a global Palestinian-led campaign attempting to increase economic and political pressure on Israel to end what it describes as violations of international law. Photo via Wikimedia Commons. Terps for Israel and UMD College Republicans are working together to oppose a Boycott, Divestment, and Sanctions (BDS) bill that SGA is scheduled to vote upon on Wednesday. In an effort to prevent passage of this bill, the two campus organizations and other campus leaders have created a petition to block the bill. BDS is a national campaign that encourages institutions to divest from companies that have close ties with Israel and is usually spearheaded by interest groups like Students for Justice in Palestine (SJP), advocating on campuses for Palestinian rights and freedoms. Although this university’s SJP organization has not officially released a statement confirming direct involvement with the BDS bill, Sarah Eshera, founder and president of the Muslim Association for Social Change (MASC) and ally of SJP, claimed proprietorship. “In reality, this resolution is very misguided and is really a front for anti-Semitism,” College Republicans President Steven Clark said in an Orgsync statement regarding the bill. Clark, a junior government and politics major, thinks the BDS movement is an anti-Semitic campaign, exclusively singling out Israel. The College Republicans leader juxtaposed the “alleged human rights abuses” in Israel with “the corruption and abuses of the Palestinian Authority and other Arab states.” Clark also stated that BDS supporters compared Israel to Nazi Germany, which he says has no basis in fact. “The College Republicans always work to defeat this BDS resolution every time it comes up, we firmly stand against any anti-Semitic actions that take place on campus, and we work with TFI and the College Dems on joint events to show our support for Israel and the Jewish people,” Clark said. Clark is expected to speak before SGA’s vote and claimed the “opposition coalition” has its own petition in progress, referring to SJP’s petition which invoked Dr. Martin Luther King Jr. to support its argument. Terps for Israel also omitted organizations and affiliates who are probably responsible or associated with the bill on official statements and social media accounts. SJP said on Twitter the SGA vote is in their favor and has plans for a protest in the Colony Ballroom on the day of the vote at 5:30 p.m. Meanwhile, nine Jewish professors and anonymous alumni groups have penned an op-ed for the Diamondback and composed a separate—but similarly worded—petition. According to an SJP Change.org petition from December 2014, they have worked alongside many diverse groups, including J-Street UMD, an advocacy group promoting a two-state solution in the Israeli-Palestinian conflict. However, the liberal-leaning Jewish organization has posted on Facebook that a “global BDS movement” would spoil their two-state solution. “A solution to this conflict will only come from compromise, discussion, and attempts to understand the other. We will certainly not agree with each other on everything, and our ideal future may look slightly different,” according to a J-Street UMD Facebook post. CORRECTION: Due to reporting errors, an earlier version of this article stated that College Republicans President Steven Clark compared BDS supporters’ rhetoric to that of the Nazis, when in fact he had actually stated that BDS supporters compared Israel to Nazi Germany. No Replies to "While SGA prepares to vote on BDS bill, opposition groups fight back"